The original 1959 version of the 1600 Supreme amplifier was sold bearing either the famous Supro lightning bolt or the logo of the Oahu brand - which, at the time, was also manufactured and owned by parent company Valco. Although mechanically similar to the 6973-powered Supro version, the Oahu used a pair of 6V6 power tubes in its Class-A output stage, achieving remarkable projection and clarity for a small- format combo amp. 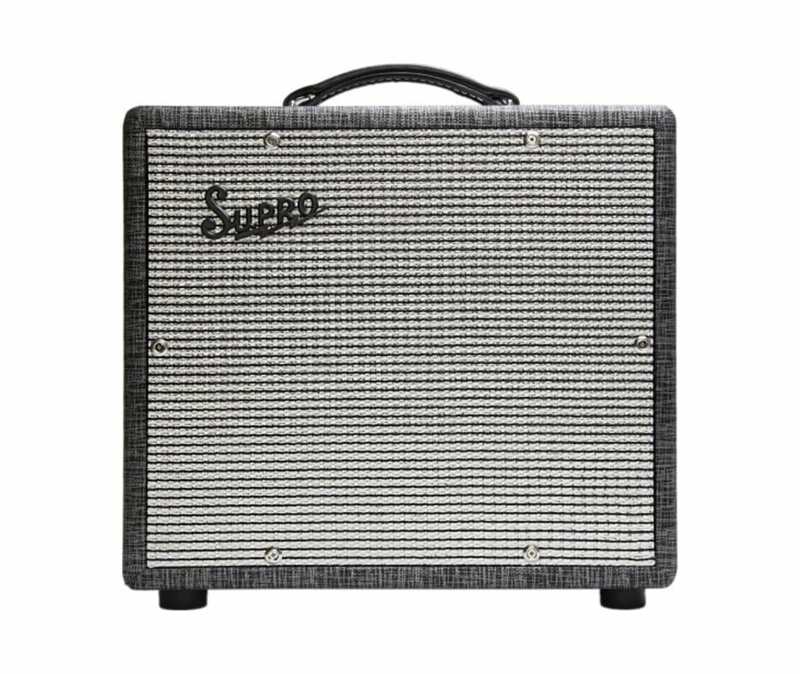 With ample headroom for use with pedals and plenty of volume on tap for playing live, the new Supro 1600 Supreme carries on this legacy as the the no-frills, grab-and-go amplifier. From warm jazz and clean country twang to dirty blues and hard rock, the Supreme projects loud, clear, punchy tone, with unrivaled clarity, touch dynamics and low noise floor - even when pushed into glorious 6V6 power-tube overdrive.